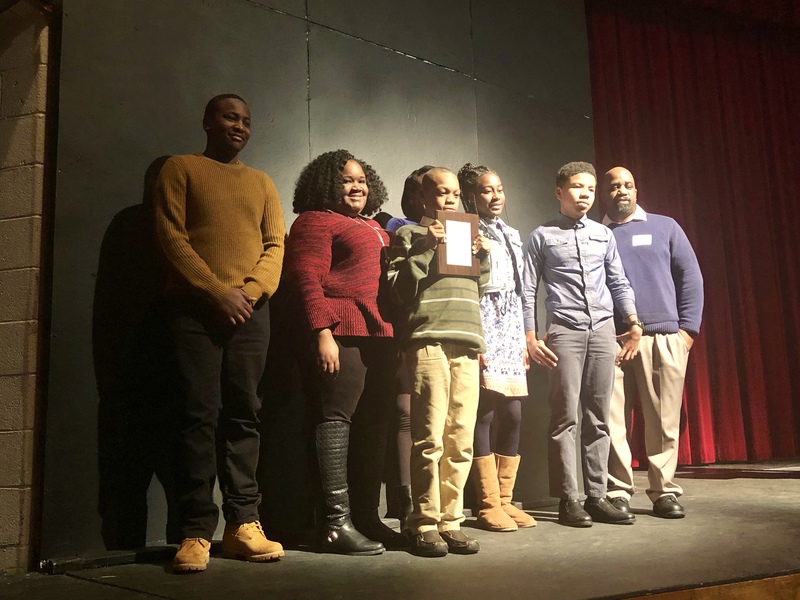 Blair Christian Academy (Philadelphia, PA) won the American Planning Association, PA Chapter, Southeast Section Special Award for Planning Excellence at the Future City Philadelphia Competition on Saturday, January 19. 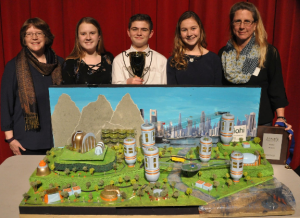 The theme for this year’s competition was “Powering Our Future.” Greater Philadelphia middle schools students were asked to design a future city with an electrical grid that could withstand and recover from natural disaster. The Blair Christian Academy team featured above with their teacher, Willette Whitaker, and mentor, Derrick Whitaker, PE (Burns Engineering). Taking the AICP exam this May or thinking of applying? The Pennsylvania Chapter of the American Planning Association is once again holding an all-day AICP exam prep session on Saturday, February 23 from 9:00 a.m.- 4:00 p.m. This will be held at the Giant Community Center (2300 Linglestown Road, Harrisburg PA 17110). The session will review the content outline of the AICP exam, which APA recently updated, and provide details on the different content areas. The exam has been updated to reflect the new content outline, and the session will take time to clarify understanding of the revised exam. Questions are encouraged throughout the day. PA chapter members can attend for free and non-members pay $35. Register at APA – Pennsylvania Chapter’s page here. Take a Short Survey to Help APA Prepare for the Planning Accreditation Board Visit of the U. Penn Planning Program ! September 14, 2018 / APAPA-SE / Comments Off on Take a Short Survey to Help APA Prepare for the Planning Accreditation Board Visit of the U. Penn Planning Program ! The graduate planning program at the University of Pennsylvania is preparing to be reviewed for accreditation by the Planning Accreditation Board (PAB). Programs accredited by the PAB are expected to maintain a relationship with the profession, the local planning community and the local APA Chapter. As part of the accreditation process for planning programs, PAB is interested in learning about the interaction between the U. Penn Planning Program and APA members and the local planning community. Please tune into our webinar on July 19 from 11:00 a.m. to 12:00 p.m. if you are interested in becoming a Future City mentor for the 2018-2019 school year at one of your local schools. Mike McAtee, the Future City Philadelphia Mentor Coordinator, will give a presentation and take participants’ questions at the end. The Future City program offers a variety of volunteer opportunities to get involved with students in your local community. This webinar will help you understand if you are ready to be a mentor, judge, or a general volunteer for the 2019 Future City Philadelphia Regional Competition. The Philadelphia Regional Future City Competition is a 501 (c)3 educational outreach program of DiscoverE. It is one of 41 regional programs conducted throughout the country. 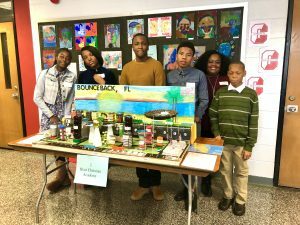 Future City is an inspiring program that helps introduce 6th, 7th, and 8th grade students to the engineering, architecture, and planning professions. Participating STEM teams across the country compete once a year in a regional competition in January. Finalists then proceed to present their projects at the National Competition during National Engineers Week in February in Washington, D.C. The competition requires participating teams from schools and youth-focused organizations (e.g., Boy or Girl Scouts, Boys and Girls Clubs, 4-H, YMCA STEM clubs) to create their own future city, based on project criteria and guidelines for that year. 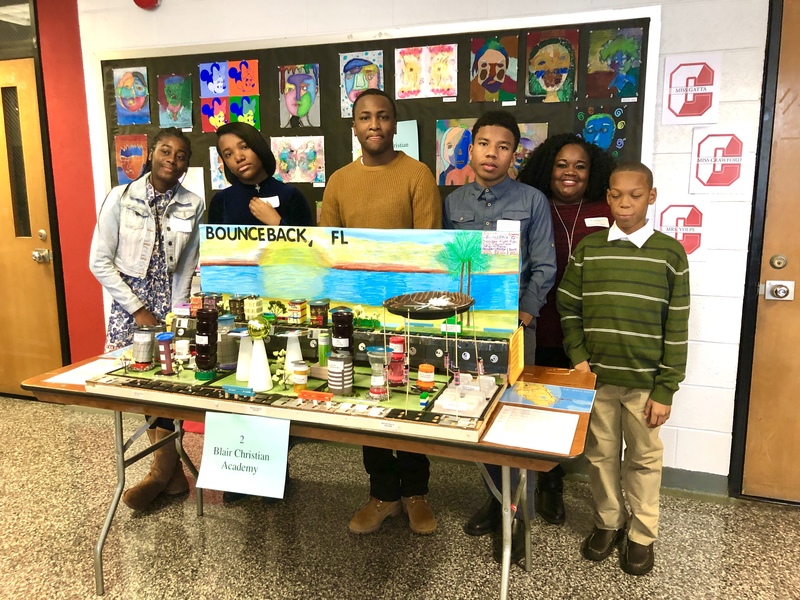 Students are encouraged to prepare a variety of deliverables, including a project plan, tabletop-scale model, and virtual city, under the supervision and assistance of a teacher and mentor. Mentors should be professionals in the fields of engineering, planning, and architecture interested in investing time and energy in helping students realize their projects. For more information visit: http://futurecityphilly.org/. Sign up at https://www.eventbrite.com/e/future-city-mentor-info-webinar-tickets-47650342457. Registrants through Eventbrite will be emailed webinar log in information to their registration email. We look forward to your participation! AICP members can obtain up to eight CM Credits for Pro Bono Planning Service, including volunteering time with the APA PA SE Council or a committee as outlined on the APA National website at https://www.planning.org/cm/logging/selfreport/probono. Join the AIA’s Active Design/Healthy Communities Committee for part two of our three-part series on Health and Design. ** January’s State of the City event (Part One) gave an overview of health trends and disparities citywide and an insider peak into the design process for the new South Philadelphia Community Health Literacy Center. Part Two dives deeper into inventorying Philadelphia’s tapped and untapped resources for equitable active design, and how to address neighborhood-specific priorities for health. Part Three (TBD -Fall 2018) will continue to explore Philadelphia’s priorities for equitable active design with an emphasis on action. The design of buildings, sites and communities have a profound effect on the health and well-being of the occupants and users of such spaces. The mission of the Active Design/Healthy Communities Committee is to provide AIA Philadelphia members, associated professionals, policy-makers and the general public a forum for education and advocacy on design strategies that improve health equity. The Committee will fulfill its mission through collaboratively developing Philadelphia-specific content, tools and opportunities for action with programs, conferences, exhibits and other materials, and by connecting participants with other organizations and experts in the field. **Note: you do not need to have attended part one to join us for part two! Charleston County sits in the heart of the Gullah Geechee Cultural Heritage Corridor, a federally designated National Heritage Area comprised of communities of Gullah Geechee people, stretching from North Carolina to Florida. In the unincorporated areas of the County, African Americans established communities after Reconstruction and have maintained a distinct community character that, in recent years, has been threatened by development pressures and population growth. This session will share how the County Planning Department has coupled historic preservation efforts with planning and zoning principles to protect these unique cultural landscapes and encourage the communities to thrive for years to come. Pittsburgh Water and Sewer Authority recently completed a comprehensive Sewershed Urban Design Study to integrate high performing green infrastructure into the city’s urban design and planning efforts. The sewershed plans identify key elements in creating networked GI systems and demonstrates how these infrastructure improvements leverage additional neighborhood benefits. The presentation focuses on how networked or shed-based systems for rainwater management marry engineering, data-driven decision-making tools to create landscapes, urban places, and projects in a replicable way. This webinar will highlight The APA Transportation Planning Division’s most-recent publication: The 2018 State of Transportation Planning. The State of Transportation Planning is a bi-annual report that focuses on current topics in the transportation planning field; the 2018 report focuses on subjects such as: uncertainty in the future of transportation planning, autonomous vehicles and emerging technology, innovation in data collection and analysis, and urban mobility and livability. In this webinar, a select group of contributing authors will share their articles and discuss major takeaways as well as any updates since the publication. Articles to be covered: “Planning for Autonomous Vehicles: Distilling Reality from Fantasy”; “How LA is Using Technology to Deliver Urban Mobility”; “Transportation Agencies Adopt a Scenario Planning Approach for the Uncertain Road Ahead”; and “Advances in Automated Bicycle and Pedestrian Counting”. Planners just starting out are already making a significant impact to the way we as planners think about tough and intriguing issues in the planning field. 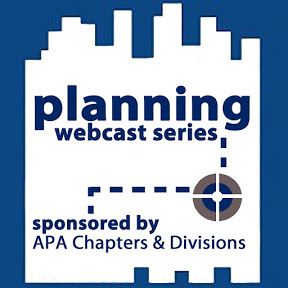 Join the APA Women and Planning Division for an exciting and inspiring discussion focused on highlighting division student members from various planning programs from across the country and internationally! A panel of top female recent graduates in their early career will discuss a wide range of important topics including their in-depth research and thesis capstones focused on topics such as equitable and sustainable communities, infrastructure and mobility constraints, environmental issues, and transportation barriers, as well as share their own experiences and stories. See how each has found interesting ways to make their mark on the planning profession. This moderated panel will allow the audience to participate in these planning topics through the use of live polling technology and interactive questions. Click on the title links to register. You can see the current listing of all webcasts at www.ohioplanning.org/planningwebcast. Distance Education – These two recorded webcasts from 2017 have been selected for AICP CM DE credit for viewing anytime during the 2018 calendar year. Remember that the event numbers for DE credits are different from those for the live sessions. The first phase of Philadelphia’s Rail Park is complete—filled with pathways, greenery, and bench swings with amazing city views! 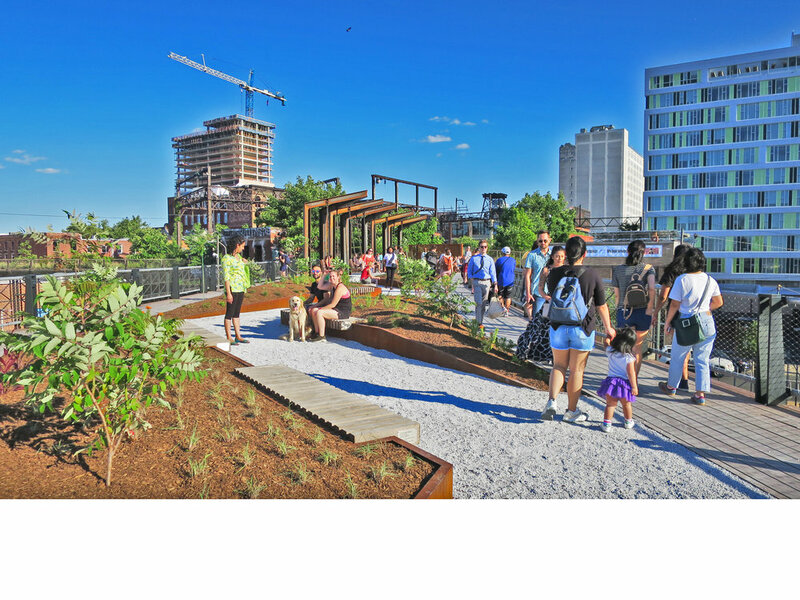 Join planners, designers, urbanites, and lovers of parks on Monday, July 16th as APAPASE checks out Philadelphia’s newest amenity. 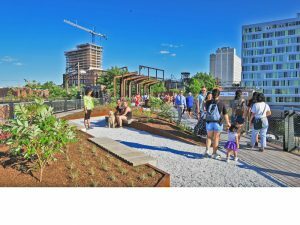 Come hear brief remarks from park designer Studio Bryan Hanes, the Philadelphia City Planning Commission (PCPC), and Friends of the Rail Park. You’ll hear about how the first quarter mile of park was designed, how the park relates to the surrounding neighborhood, and the vision for revitalizing three miles of unused rail lines into a usable, beautiful, public space for all. The Park will be open until 10:00 PM after the event–feel free to hang out after the official part of the event is over. 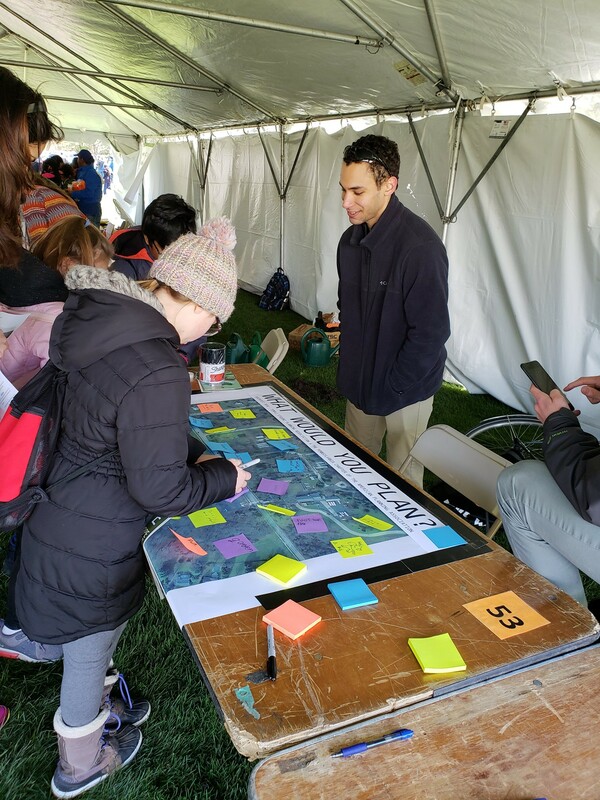 On an unseasonably cold and blustery April day, aspiring planners from the Temple Student Planning Organization (TSPO) – in partnership with APA Pennsylvania’s Southeast Section (APA PA SE) – hosted a booth at Temple University’s EarthFest. The purpose of this annual event is to teach students about sustainability concepts and promo te environmental awareness. This year, the event honored Dr. Jeffrey Featherstone, founder of the Center for Sustainable Communities and professor in the Department of Planning and Community Development at Temple University. TSPO volunteers led elementary and middle school students in an exercise designed to foster a discussion about planning and encourage them to think about how land can be sustainably developed. Using an enlarged aerial map of the field in which they were standing, students were asked to guess what the map depicted. With impressive regularity, students correctly identified the location of the aerial. Next, volunteers led a discussion of various types of development, culminating in students suggesting ideas for developing the field by placing sticky notes on the map. Some of the most compelling responses were “homes but cheap” and “a nature preserve,” though “swimming pool” seems to be the perennial favorite. The APA brochure What Planners Do was also available at the booth and used to spark discussions with interested chaperones. Each year, Temple University’s EarthFest provides an opportunity to engage with students and their families about the work that planners do to improve communities. The participation of TSPO and APA PA SE in this event is a small but meaningful way in which the planning community can promote a greater understanding of the important role planning has in our society.